Verkehrsschild an der Grenze zwischen den USA und Mexiko, das vor den Highway überquerenden illegalen Einwanderern warnt. police. The origin of that symbol is here in southern California and applies to the persecution of Mexicans by the border patrol. 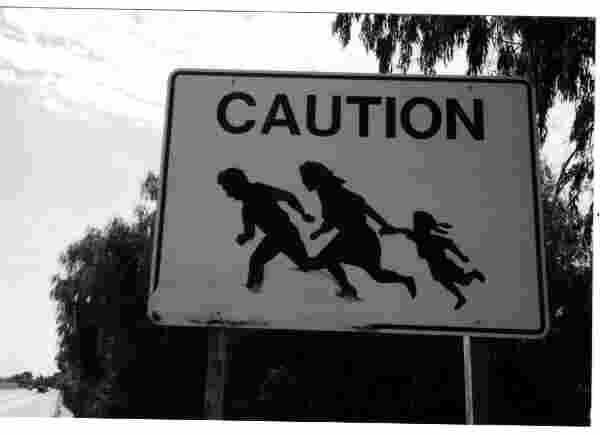 The sign refers to people trying to cross the freeway to esacape being caught. Several people, including children have been killed. I pass those signs at least 10 times per week and have often been stopped by the inspectors and border patrol agents ..."